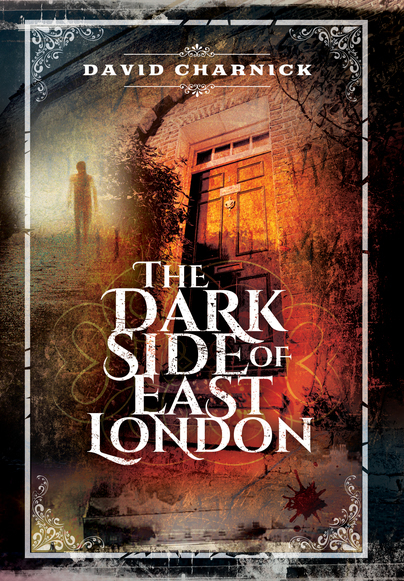 You'll be £8.00 closer to your next £10.00 credit when you purchase The Dark Side of East London. What's this? Just hearing the phrase ‘the East End’ summons up images of slums and dark alleyways, with Jack the Ripper appearing from the mist, or housing estates and pubs where you might find the Kray twins. It is a place of poverty and menace, yet these images can prevent us from seeing the reality of life east of the City of London, and of its dark history. This study features stories of crimes and misdeeds that show what life was like in this area before the 'East End' existed. They also reflect the changes caused as the settlements of the Tower Hamlets became absorbed by the new metropolis of London. As there is nothing new under the sun, so these stories find their modern counterparts in our times. However, they also take us into unfamiliar territory as they bring to light the often forgotten past that underlies the present-day streets and lurks behind the façades of some of the area’s older buildings. Many of the stories will be unfamiliar and indeed strange, but yet they show how the character and notoriety of the City’s famous shadow has been formed. Paying scrupulous attention to place, this volume features a wealth of specially-commissioned photographs, allowing the reader to locate these stories in the present-day London Borough of Tower Hamlets. East London's crime history must be amazing to research and choosing which to write about must be a difficult choice. Of course being a crime buff this was of interest to me and I wasn't at all disappointed. A superbly written book it is filled with the dark side of the Capital and is a brilliant book to pick up and peruse at leisure. I will definitely be gifting several copies to my friends. Although my family has its origins in London, most of them from the east end, I wouldn't be able to say with any confidence if Whitechapel and the Ripper murders were in the East End or not. It seems a shame that one specific area of London has this awful reputation, which author David Charnick investigates so thoroughly, but such a lot of terrible things seem to have happened there! The author has set out to provide in considerable detail a wide-ranging selection of historical East London crimes that does not include Ripper or Kray mythology. In this he has been successful with a well written easy to read romp through hundreds of years of crimes in a compact book. The information is interesting and I definitely wanted to learn more about the weavers riots in Spitalfield. After spending the best part of my holiday in London last summer, I was excited to read about some of East London's earliest recorded crime history. I was not disappointed. David Charnick has taken a sometimes dry subject matter of criminal history (London's weavers) and made it very readable. I appreciated that he informs the reader the name of the present-day site for the misdeeds and crimes. David Charnick was born in Bethnal Green in 1964 and has never left. A qualified City of London guide, he is active in developing a guiding culture in Tower Hamlets through both guiding and teaching, promoting the awareness of the East End’s heritage at street level. Having earned two postgraduate degrees from the University of London, he has an academic interest in London-based fiction, and has self-published two volumes of stories.